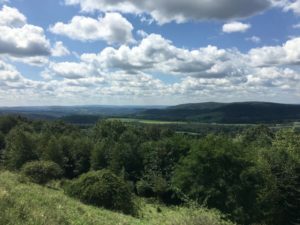 A large swath of the Appalachian Mountains crossing West Virginia and Maryland was recently designated by the National Park Service as a National Heritage Area to celebrate the forest’s natural beauty, historical role in providing natural resources fueling America’s growth, and an appreciation for the area’s unique mountain arts, music, and culture. 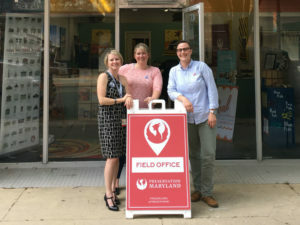 Thanks to the generous support of the Rural Maryland Council, Preservation Maryland will again be hitting the road to setup temporary pop-up offices in rural parts of the state. 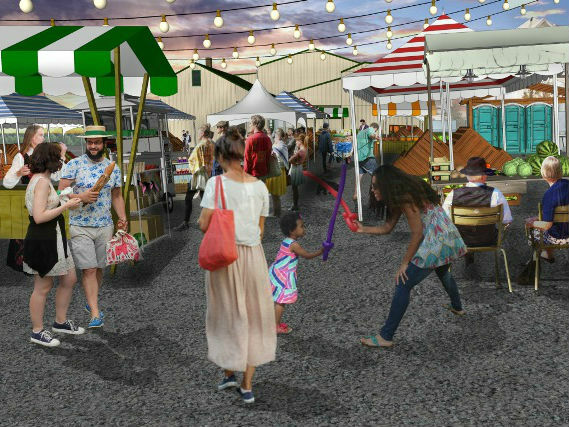 Renderings of a revitalized Karns Lumber and activated public space, prepared by Smart Growth Maryland. Serving as a resource for individuals who are working to save places that matter to their community is critical to the mission of Preservation Maryland. 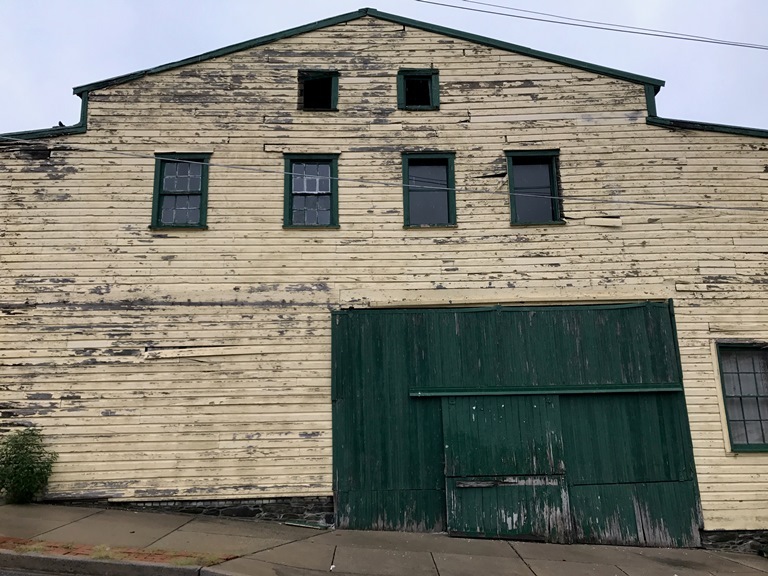 Since fall of 2017, the organization has assisted City of Brunswick residents with a campaign to save the J.P. Karns Lumber building on South Maryland Avenue and two houses on Maple Avenue from demolition. Brunswick has a rich heritage and is home to many well-preserved historic buildings. Incorporated in 1890, the city was once a hub for the Baltimore and Ohio Railroad which operated a sizeable rail yard and employed many Brunswick residents. A spur line was used to transport lumber to the J.P. Karns Lumber building. Much of downtown was constructed with lumber from Karns. The J.P. Karns lumber building today. The J.P. Karns Lumber building is now vacant and has been neglected for many years, likewise for the Maple Avenue houses. 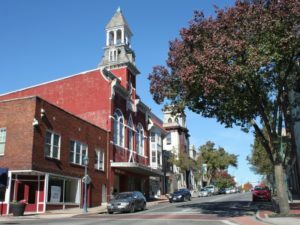 Residents have noted that in many downtowns structures like those on Maple Avenue have been successfully converted to bakeries, restaurants, and shops. And there are a variety of contemporary uses of the J.P. Karns Lumber building and its grounds that would meet community needs and be supported by residents. 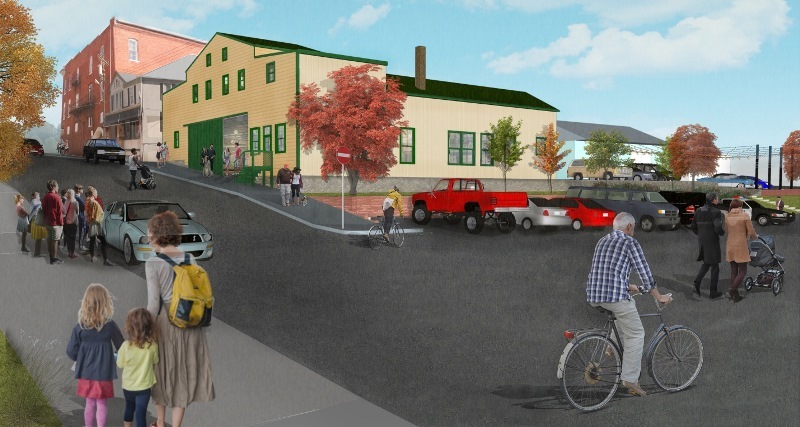 Smart Growth Maryland commissioned renderings depicting a restored J.P. Karns Lumber building and use of the grounds for community events and parking to show how the building could once again be a vital contributor to a thriving downtown Brunswick. Renderings of a revitalized Karns Lumber. Smart Growth Maryland is excited to continue working with Brunswick residents to foster reuse and reinvestment in one of Maryland’s most delightful downtowns.